Looking for great BBQ San Antonio? 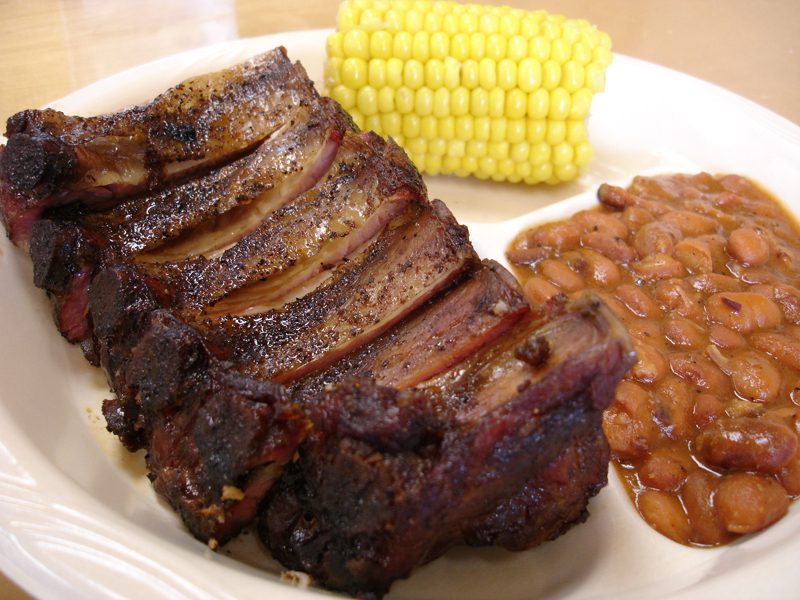 Drop by Smokey Mo’s Bar-B-Q at Evans & Bulverde Rd. It’s a friendly atmosphere and of course mouth watering bbq available for dining in, carry out or even BBQ Catering! Come get some of the best Texas BBQ right here in San Antonio! 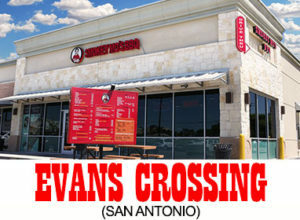 Visit our Evans Crossing (at Evans & Bulverde Rd.) Smokey Mo’s BBQ location. We offer mouth watering barbecue available for dine in, take out or even BBQ Catering. Come find out why Smokey Mo’s is quickly becoming a San Antonio favorite! 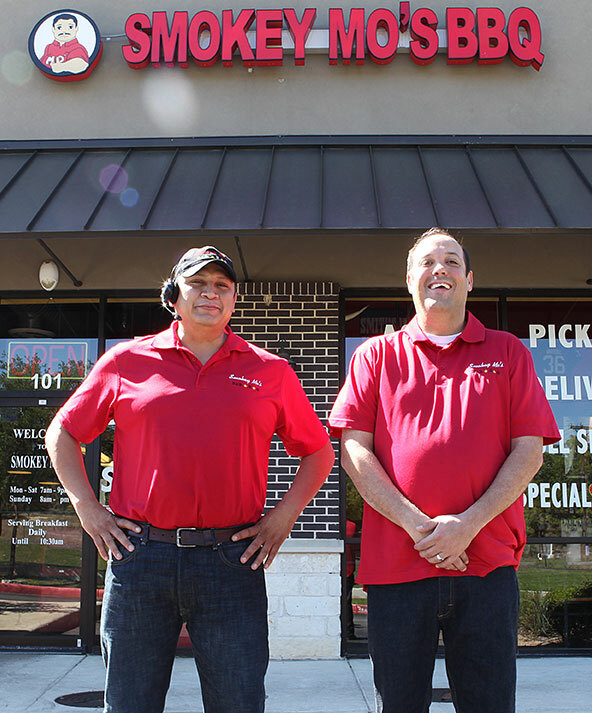 Roger and Rene grew up together in Brownsville, Texas and started learning the restaurant business from Roger’s dad, a General Manager for Luby’s Cafeteria, at the early age of 12. They knew that restaurants are where they belong, and have each worked at a variety of restaurants, learning their trade and efficiency of the restaurants. 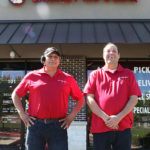 When Roger and Rene determined they had learned enough, and wanted to give Ownership a try, and in 2007 they approached their long-time friend and mentor, Morris, about opening a Smokey Mo’s BBQ in San Antonio. They shared his love of BBQ, passion for great customer service and commitment to food quality, and the rest, as they say, is history. When not running the restaurants, come see them at a local BBQ Cook-Off, for some fun and great food.